If your daughter is anything like mine, and fell instantly in love with the Disney movie Moana, then I'm sure you'll be needing Moana birthday party ideas really soon. Well, we've got them for you! Here is our roundup of fabulous Disney Moana birthday party ideas! You'll find Moana party invitations, ideas for a Moana birthday cake, pretty cupcake toppers, delicious tropical flower cookies, Moana party food ideas, and more! 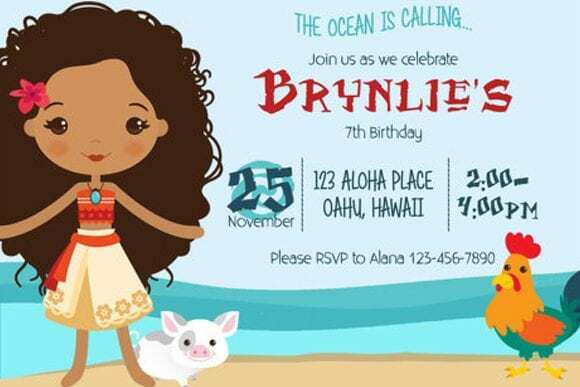 This gorgeous Moana birthday invitation from our vendor Emmie cake is a great choice for party invitation for a Moana party. Look no further for a gorgeous Moana cake ideas! 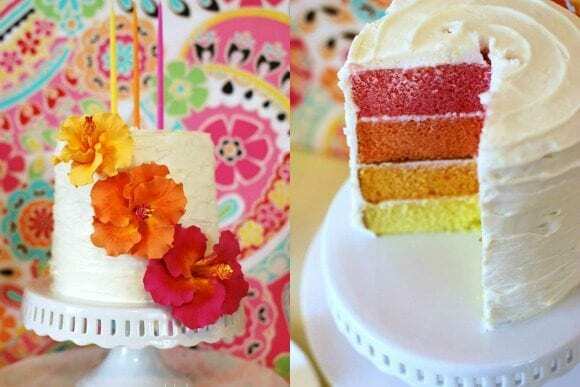 This hibiscus flower birthday cake is absolutely beautiful on the outside, and once cut into, there are beautiful bright ombre colors to give it that extra special touch! The luscious floral setting in the movie is a great inspiration for your Moana birthday party. 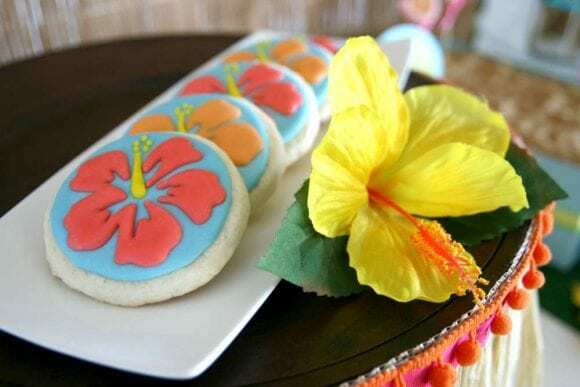 Just look at these beautiful hibiscus decorated Moana sugar cookies! These fantastic Moana cupcake toppers are just perfect to decorate your cupcakes. How cool would they look on a cupcakes with turquoise blue icing?! 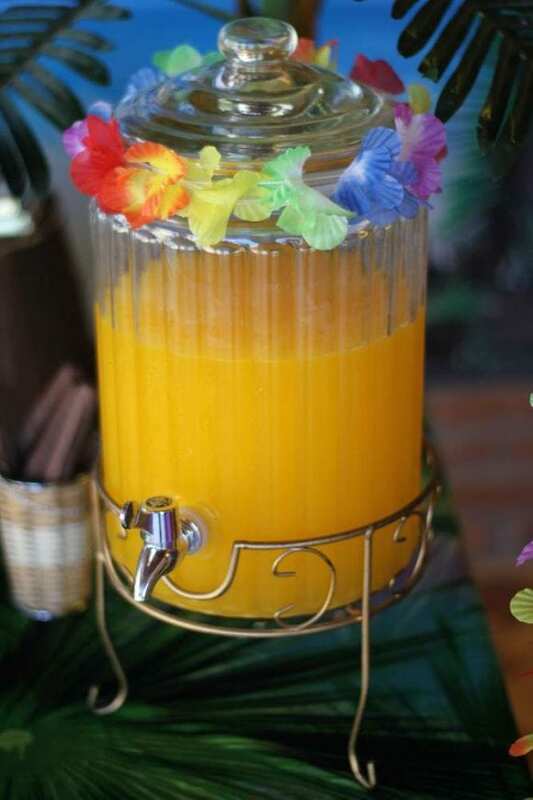 Take a look at this great way to serve up punch at your Moana birthday party. Love the lei decorating the Moana drink dispenser! Such a beautiful and simple idea with a lot of impact. 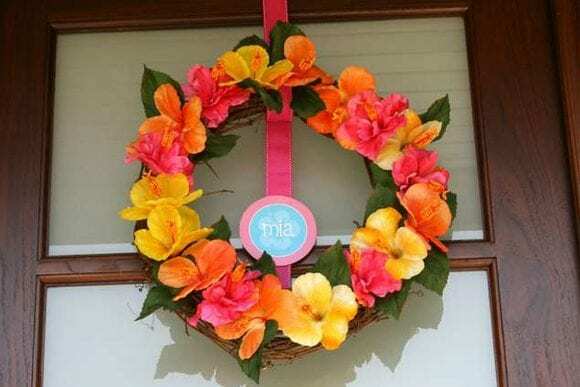 Decorate your front door at your birthday party with a fabulous tropical Moana flower wreath. Love the colors! You can buy all the supplies at the craft store and get hot gluing! 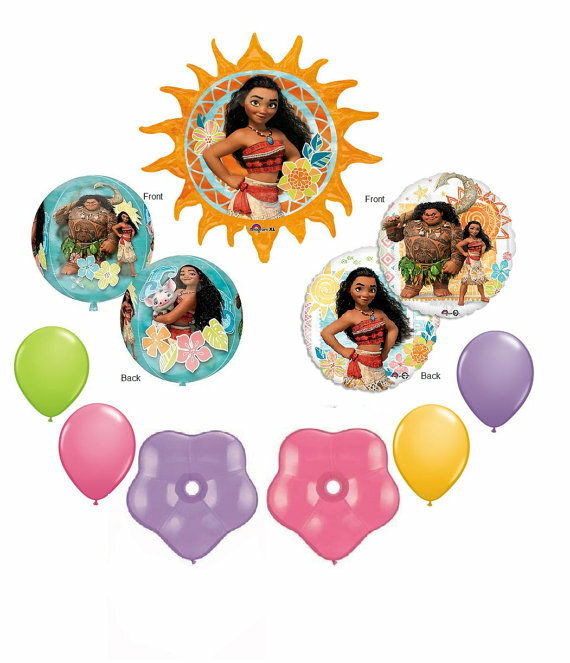 If you're looking for an easy way to decorate your Moana birthday party, here's a fun Moana balloon assortment to give your party some color. How about serving your guests these Moana Tamatoa inspired crab croissants? 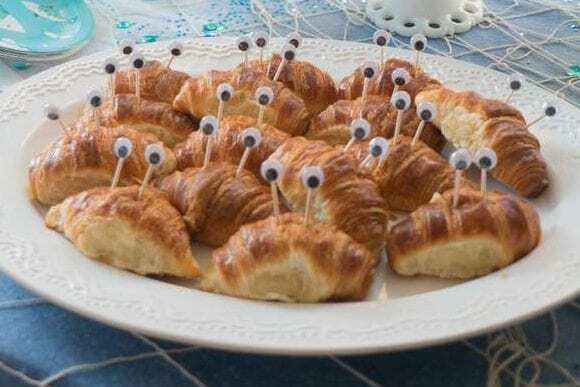 They are so simple to decorate with toothpicks and googly eyes, and are lots of fun for your guests! 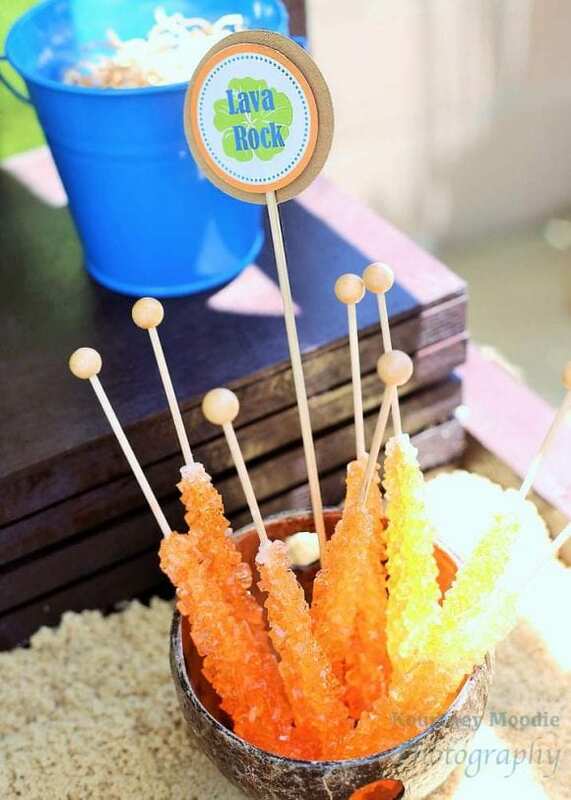 Another great Moana party food are these rock candy lollipops. Simply add a lava rock food card and you're good to go! You can't have a Moana birthday party and not 'consider the coconut' as Moana's father sings in that great opening song! 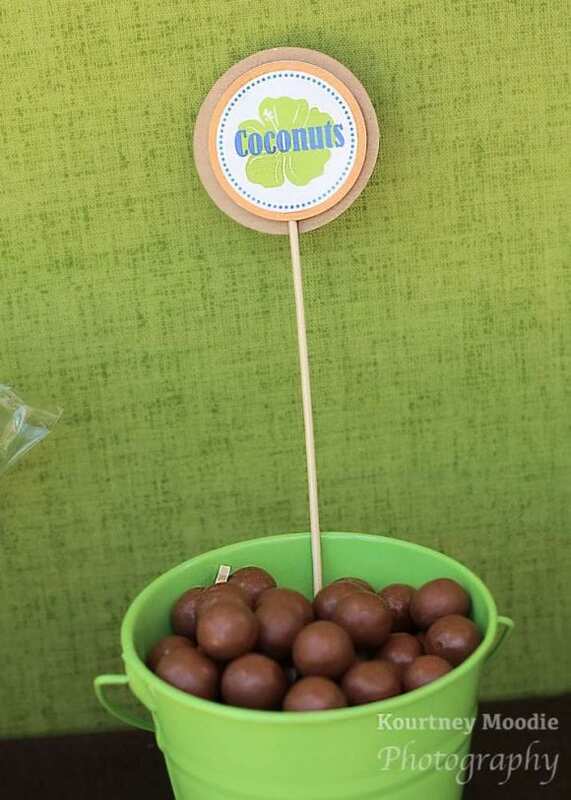 So how about adding these chocolates that look a lots like coconuts? 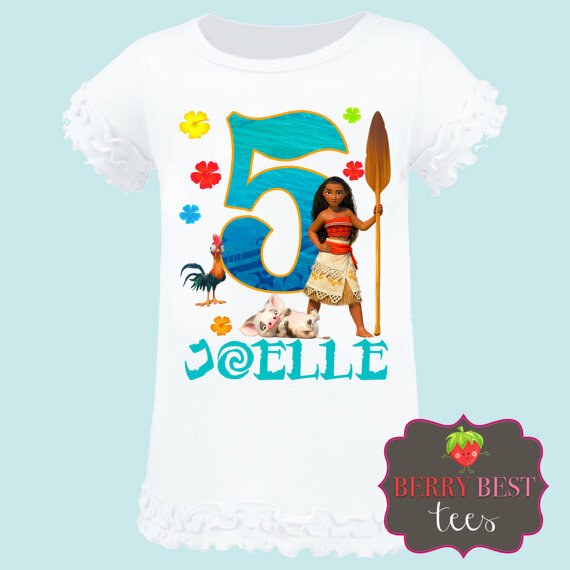 Here's the perfect Moana tee shirt for the birthday girl to wear to her partu. You can have your daughter's tee shirt personalized with her name and age. 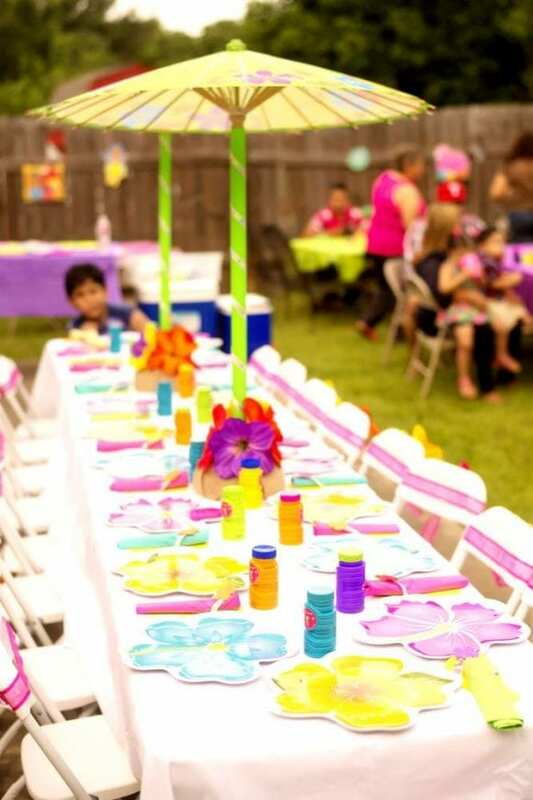 Take a look at this fantastic way to decorate the kids' table at your Moana birthday party. Love the vibrant colors, parasols, and floral plates! Such pretty Moana party decorations. 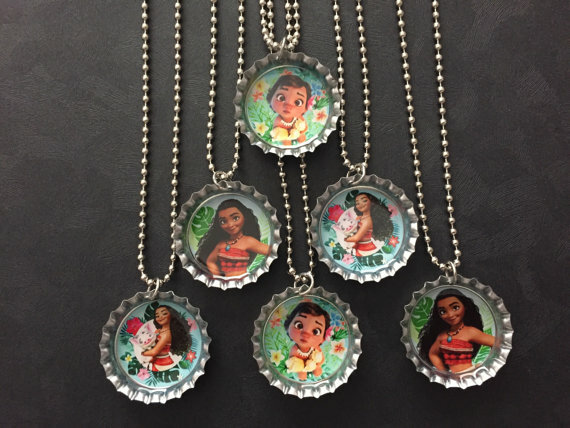 If you're looking for the perfect Moana party favor, then check out these bottle caps pendant necklaces. I'm sure your guests will love going home in one of these! Some of these links may be affiliate. 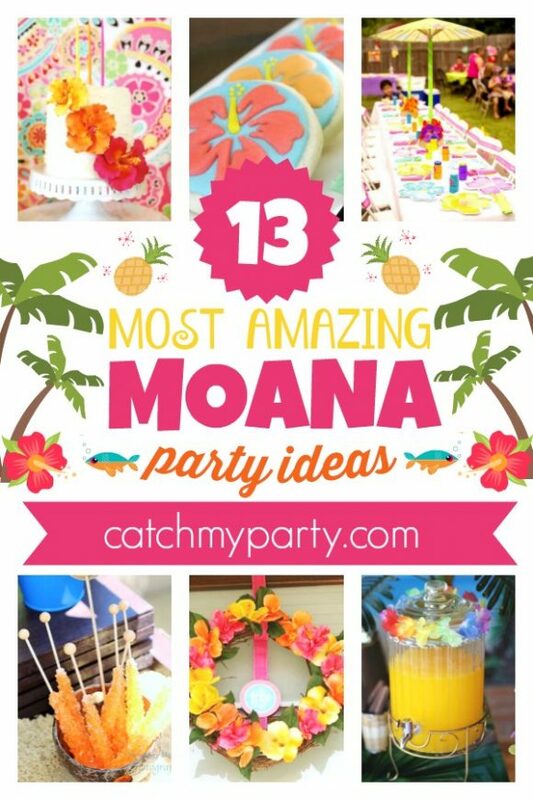 For more inspiration, check out all these amazing Moana parties on our site, and check out these Moana party supplies from vendors with listings on Catch My Party! 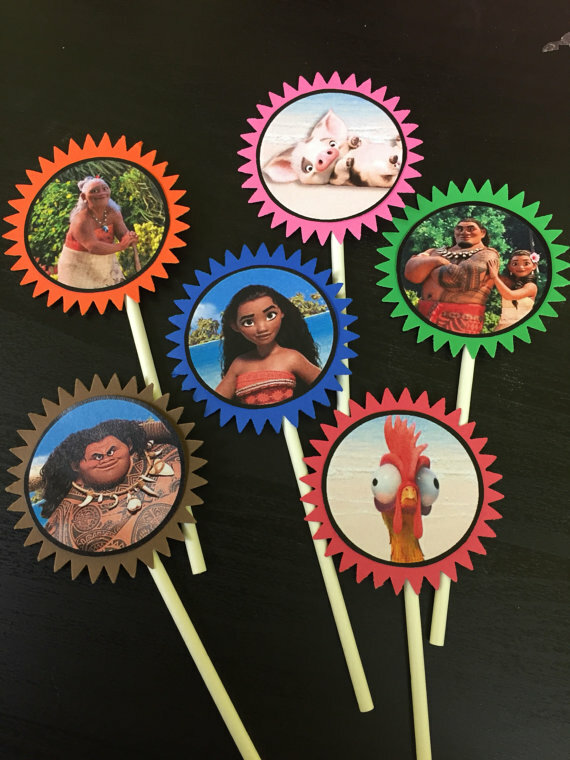 Need Disney Moana party craft ideas? Need Disney Moana free party printable decorations? Need more Disney Moana birthday party ideas?